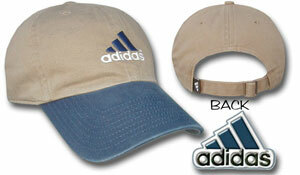 This kind of hat is a mainly a promotional tool containing the name and the organizational logo. Sometimes according to the discretion of the company the hat contains only the digital logo or the name of the service is going to be launched. Here the printing is done by silk-screen printing method, and before print the logo is made digitized and embroidery is done after that. The process of making this kind of hat is quite monotonous and mechanical, because a major part of the job is done by computer graphics. The company selects the design and the shape of the logo. If the hats are being prepared for the first time there is the option for choosing the color combination of the logo, its size and the total get up. If a previous sample is lying with the printing company the job becomes a little easy, use to add something extra or to delete something from the previous one. The cost of the hat is determined by the number of stitches required to draw the logo. The graphics department of the company determines this factor. For custom logos only set up charges are applied. Once the logo is designed it can be stored for future use and in this way the further cost can be saved by the buyer. These kinds of hats are basically used for some particular events of brand promotion or for the promotion of any social activities. Rotary club for example has a particular logo and for their blood donation camp, vaccination program, sterilization scheme same kind of hats with same Corporate logo can be used and thus this logo bears the mark of certain social services. That is the brand promotion activity. Nowadays the companies have realized the mileage, covered by the brand promotional activities and thus getting interested for it. It has been widely realized that while the employees use this kind of hats they act like a moving advertisement of the company. Is not only a low cost publicity but also a long-term display of the recognition of the market presence of the company? Another use of these kinds of hats is its use in fund raising program. Fund raising programs are arranged by social activists and it requires a lot of public awareness, and a confidence on the activity of that social group that their intention is eco-friendly and for the benefit of humankind. To promote these kind of social activities, it is always desirable to create a long term impression and some special approach, which is possible by a particular brand , logo, color, shape, and style that is possible by the use of this Corporate logo hats .It is good fashion accessories, a protection for outdoor activities, a bond with the service of the company working for ,a sense of commitment for the service and the making of a public awareness —all are served by this kind of use of the hat. Thus this kind of hat is proved as a tool for promotional activity.